Dr. Gaea (Wimmer) Hock (’03, ’06) assisted with the Western Kansas Youth Water Advocates Conference in Garden City, March 23–24. 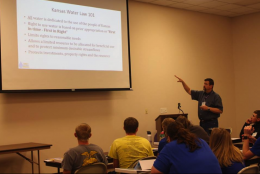 This conference helps high school FFA members learn more about water issues and develop skills for advocating in their communities. Ten students from six FFA chapters participated in the event. Dr. Hock taught sessions about considering the target audience and the basics of research. 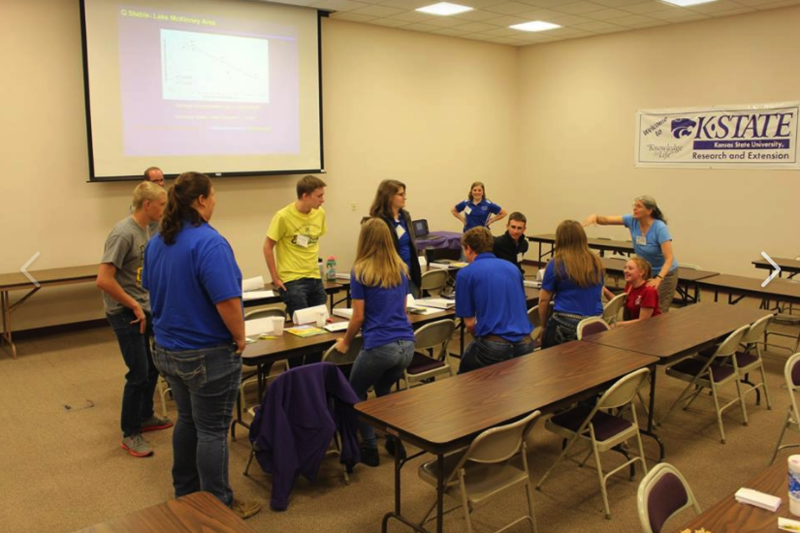 Melissa Poet (’17) and Russell Plaschka co-hosted this conference and served as mentors for students and sponsors for the event. 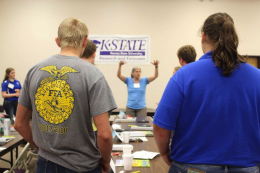 Poet currently teaches agricultural education at Greeley County High School, and Plaschka serves as the Career and Workforce Development Specialist at the Kansas Department of Agriculture.